The recently published book Dior by Avedon traces a history of elegance through unique moments that reveal the special relationship between the haute couture house and Richard Avedon. For nearly 30 years, the American photographer captured the essence of Dior in images that have become iconic. The close collaboration between Dior and Avedon began in 1947, when the young photographer’s fashion work perfectly expressed the emotion of the House’s revolutionary lines. From behind his lens the photographer celebrated the glamour of Dior’s muses, capturing unique and intimate moments, from the pensive and inaccessible stare of Marlene Dietrich, to Audrey Hepburn dancing through the streets of Paris. Richard Avedon’s work for Dior proved a turning point in the history of fashion photography. 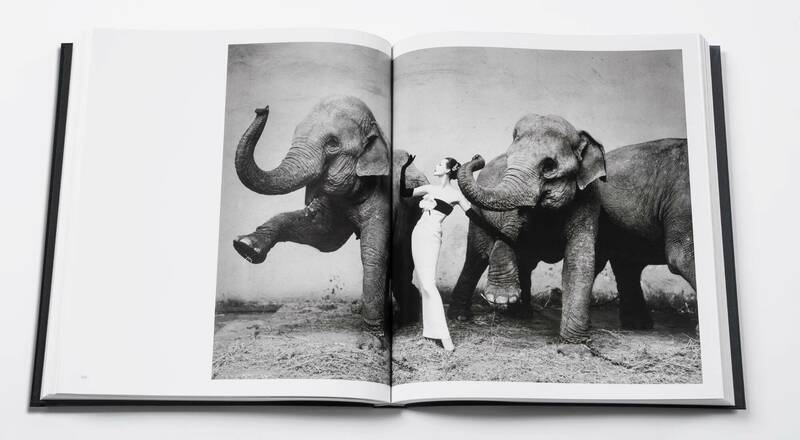 His famous photos include the model Dovima in a sensual Soirée de Paris sheath evening dress, flanked by two elephants in the Cirque d’Hiver. Avedon described the scene as “a choreographic moment”. Through Avedon’s photographs, the book recounts the history of Dior. It includes sketches by Christian Dior, as well as anecdotes and texts by Jacqueline de Ribes, Justine Picardie and Olivier Saillard. The book is published by Editions Rizzoli.